I cooked a half leg of lamb for 15 hours overnight in the souse vide water bath. 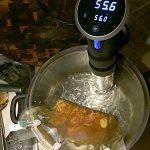 I use an Anova Precision Cooker stick and a Trespade Vacuum Sealer. The cooking time came from Dale Prentice’s excellent book “At Home with Souse Vide” (stunning photos by my friend Mike Emmett and his friend Bec at RedFishBlueFish Photo. 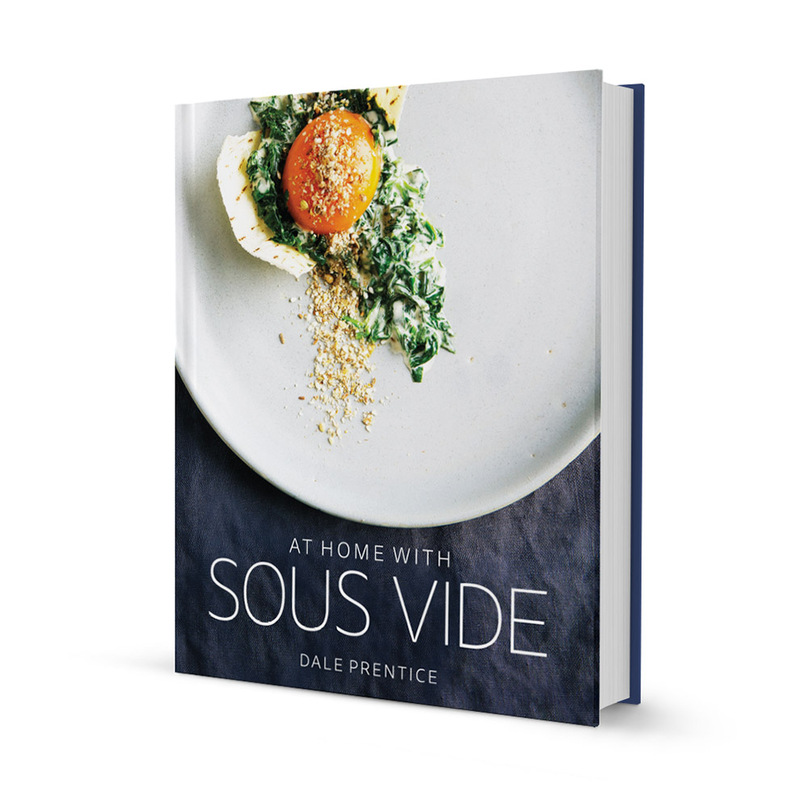 Dale is the talent behind Sous Vide Australia. I also bought my smoking gun from them. In hindsight I wish I had added juice of 1/2 lemon. 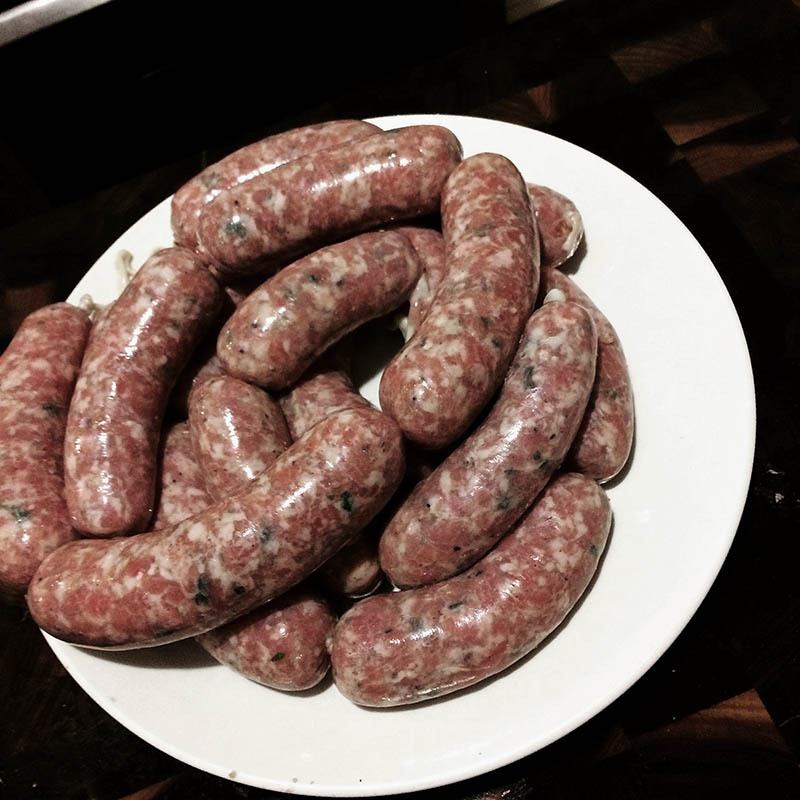 Next timeI would stud the meat with the garlic. After cooking it overnight, I finished it off on the BabyQ gas Weber. It tastes really good, although next time I’ll use a home-made spice mix to give it more kick. I’m going to serve it cut up with warm pita bread and accompaniments. 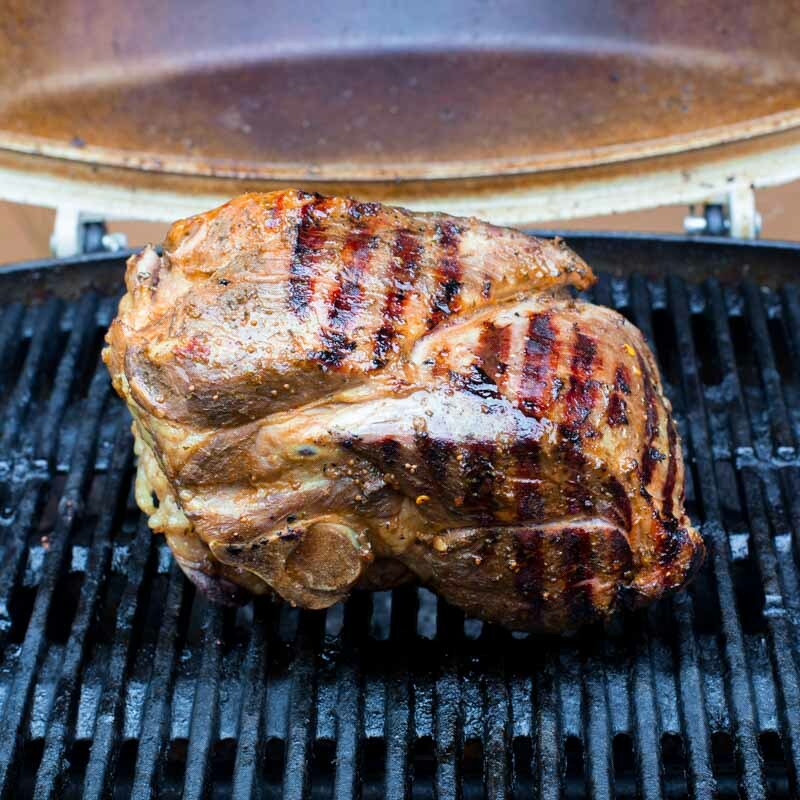 Today I’m slow-roasting a shoulder of lamb. 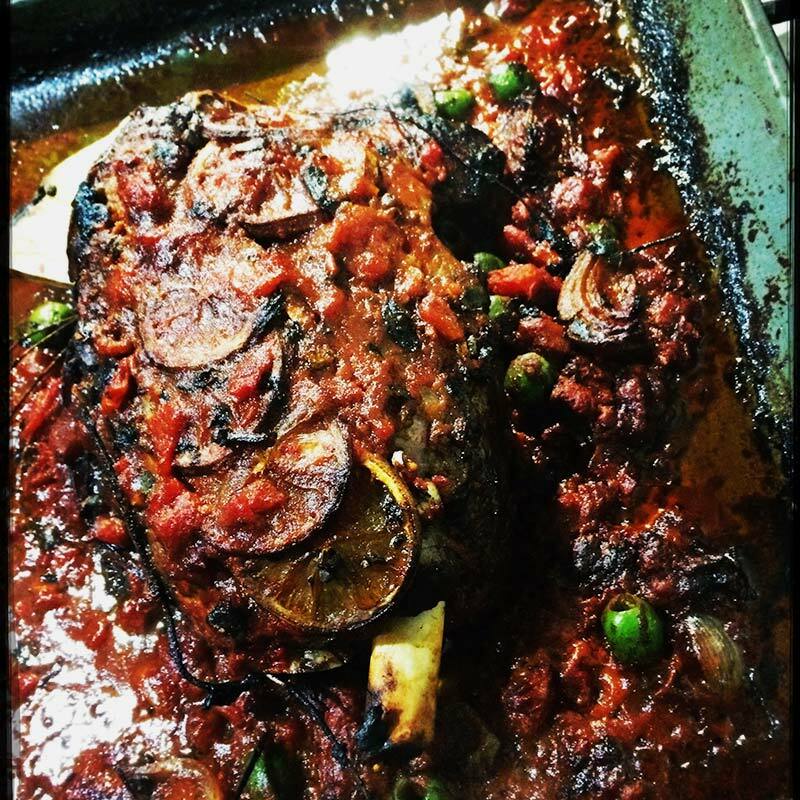 The lamb was studded with garlic slivers, then seasoned with salt and pepper and covered with tomato paste. 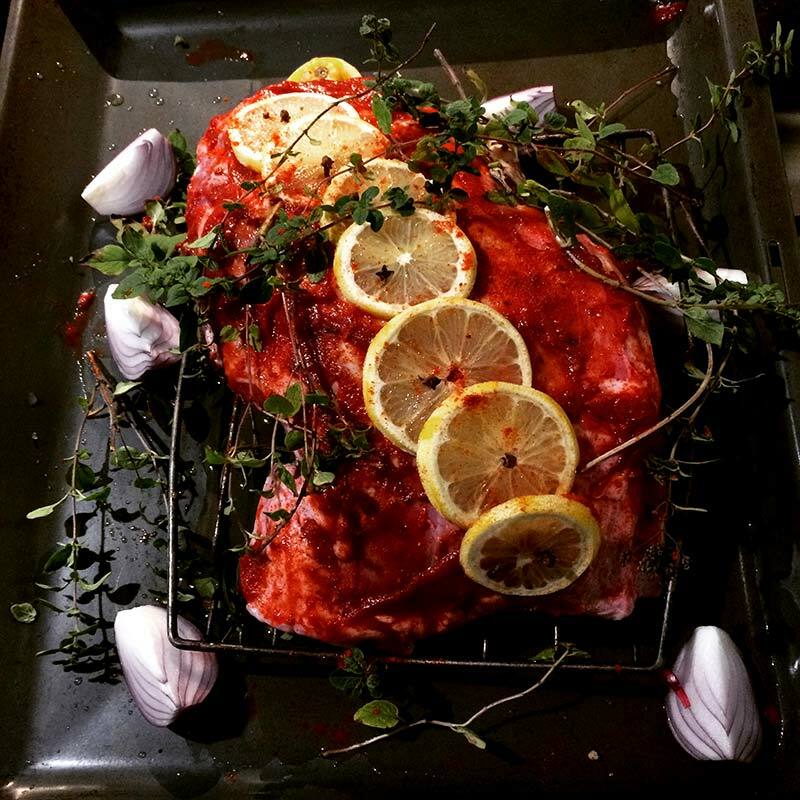 I then sprinkled it with some smoked paprika, and added sliced lemon and cloves in the top. Oregano all around. 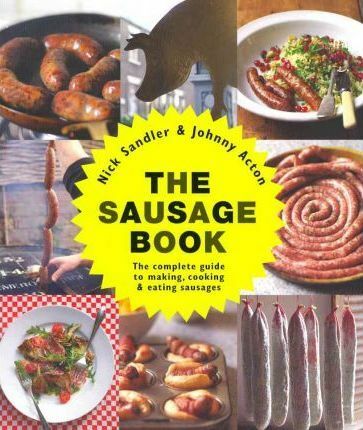 Plus onion, white wine and water. Part way through I’m adding some diced white anchovies to the top. 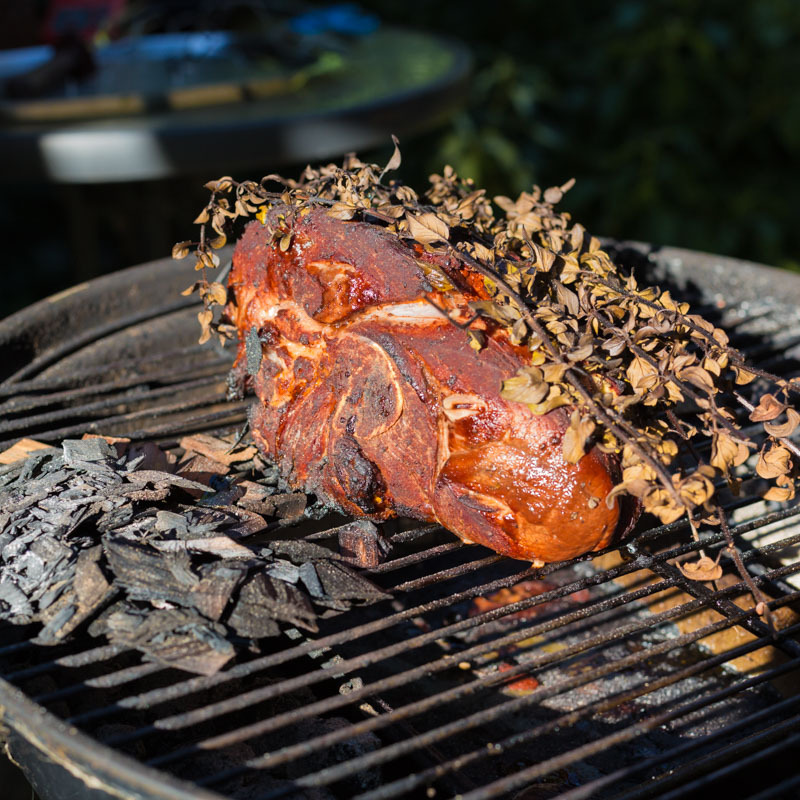 I cooked it covered loosely with foil for about 5 hours then cranked it up to 150 or so for a couple of hours. I took the foil off at a could of points so it could brown. Before the last couple of hours I added 2 x 400 g cans of crushed tomatoes and some sicilian green olives. I also made a celeriac and potato puree, baked beetroot and brussels sprouts sauted in bacon fat. Yep. 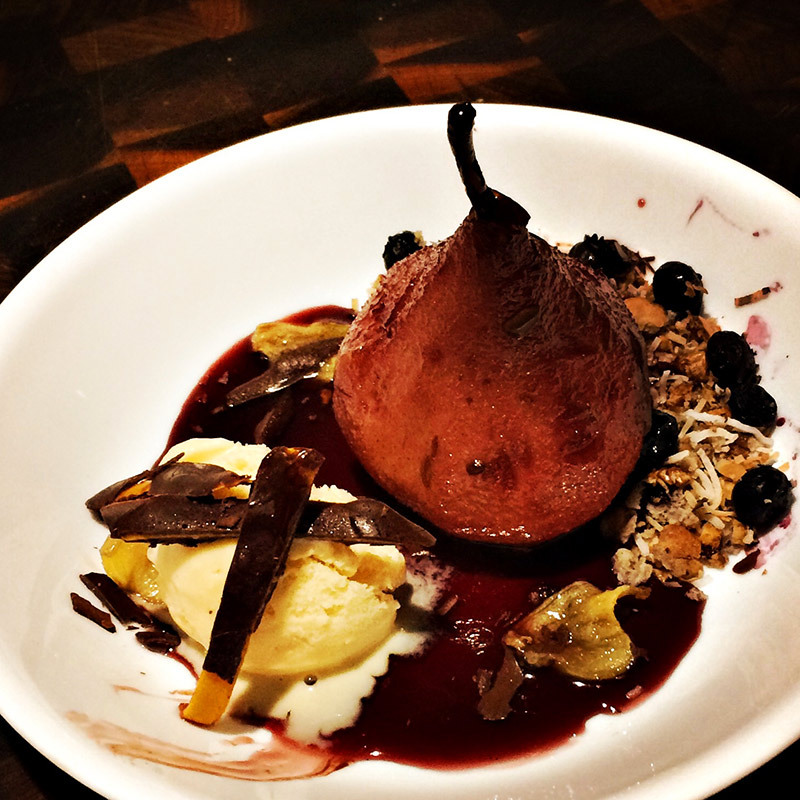 Dessert consisted of pears poached in red wine and spices, a crumb of salted candied pecans + toasted coconut + toasted crumbled blueberry muffin, a few blueberries, candied ginger, lemon & honey ice cream, chocolate-dipped orange rind, and the pear syrup.